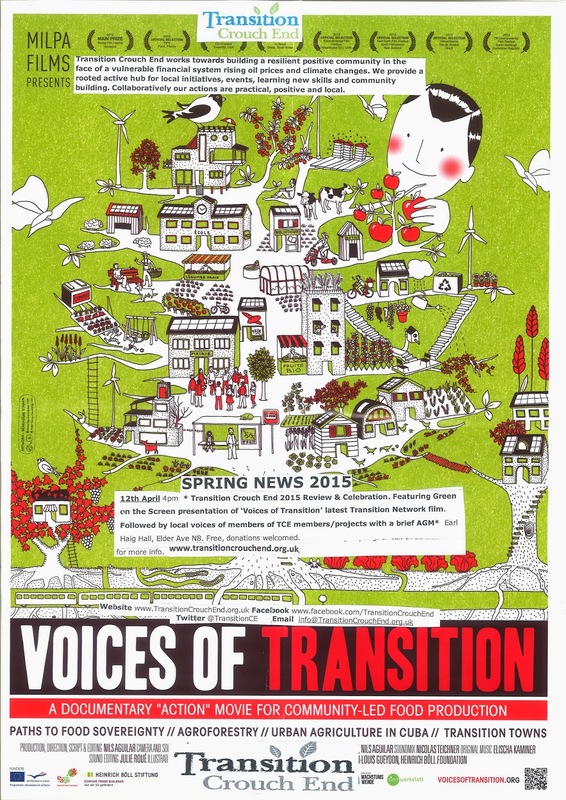 Voices of Transition’ documentary presents concrete ways towards developing collective resilience with local actions and the building of systems that reflect responses to crisis conditions that we are only beginning to see through energy, climate and economic instability. The film is hosted by Transition Crouch End as part of our Green on the Screen events and as an annual review (including short AGM) and celebration. This year is the international Climate Change Conference in Paris. In a matter of weeks we have our national elections.